Last-ditch efforts to let big cities opt out went nowhere, and the Texas House on Monday moved all Texans a step closer to the public carrying of handguns by license holders. After turning back last-minute attempts to let city voters opt out, the Texas House gave final approval Monday to legislation allowing gun owners with concealed weapons licenses to carry their side arms openly. House Bill 910, by Rep. Larry Phillips, R- Sherman, passed on third reading 101-42. Similar legislation has already passed the Senate, and Gov. 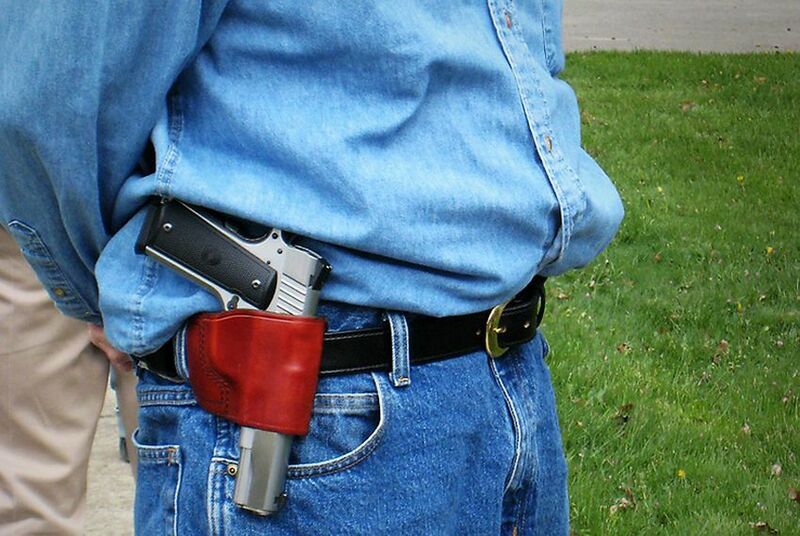 Greg Abbott has promised to sign open carry legislation. Minor differences in the bills will most likely be ironed out in conference committee before the measure is forwarded to Abbott's desk. The Texas House debated the bill for more than five hours last week. Lawmakers opposed to open carry made last-ditch efforts to soften the legislation. Rep. Rafael Anchia, D-Dallas, filed an amendment that would allow large cities to vote to opt in or out of open carry. "Rural open carry is different than densely populated open carry," Anchia said. "If you put this to a vote in big cities, I think people are going to say resoundingly no." Rep. Chris Turner, D-Grand Prairie, proposed a similar amendment. Phillips and the House rejected them both, and Democrats against the legislation were not able to stop the bill from passing on Monday.